America. We are on the cusp of war. The Rosebud Sioux Tribe of South Dakota. The reason? 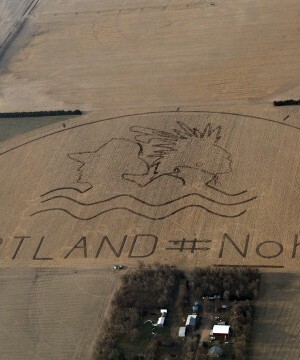 The proposed extension of the Keystone XL Pipeline, which would run through tribal lands. Tribal leaders are resisting the project, citing fears of water pollution, as well as broader environmental concerns. "Authorizing Keystone XL is an act of war against our people." This isn't the first time the big tube has made the news. However, recent political developments have resurrected the oily specter. The House of Representatives passed a bill to authorize the pipeline's extension, and the Senate will likely vote soon. President Obama has yet to declare his intentions, should the bill reach his desk. Likewise, it is unclear how the actions of the Rosebud Sioux Tribe will affect the pipeline's future. The United States Bureau of Indian Affairs states that "federally recognized tribes have both the right and the authority to regulate activities on their lands," however, it also declares that "neither tribes nor states have the power to make war." Will that stop the Sioux? What would war mean, in this case? And can the Federal government, in good conscience, find out?